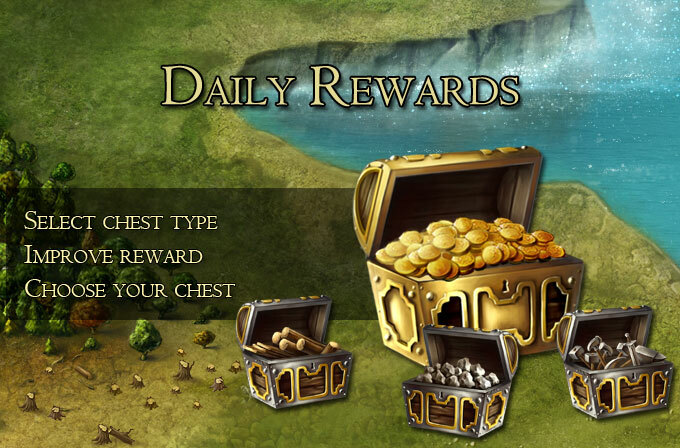 Just click on the chest icon near the advisor to choose a daily reward chest or check your last reward. You may want armies, resources, no risk and maximim reward. Finally choose your lucky one out of three available and take your reward. When you open 6 chests in a row (of any kind) you level up your tier and get more rewards for each tier. Each level gives 1% larger reward from all chests. E.g. 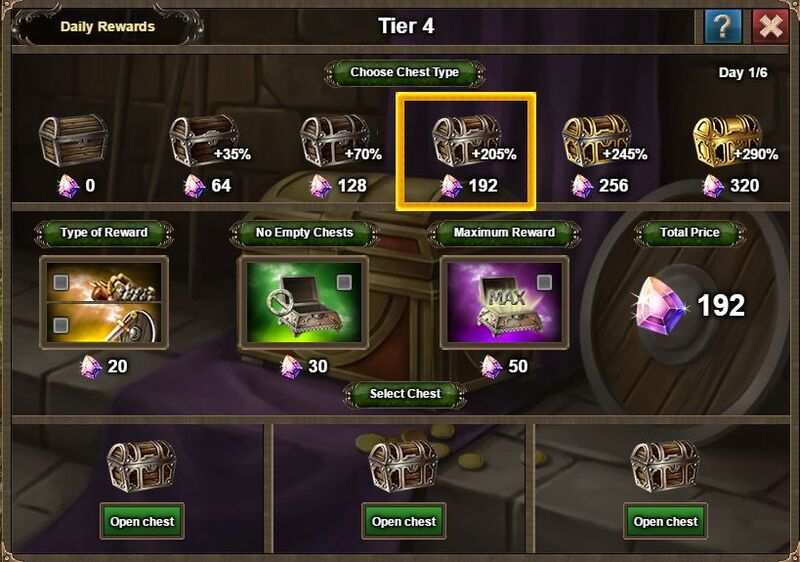 If you are at tier 15 you have 15% extra rewards from any chest.